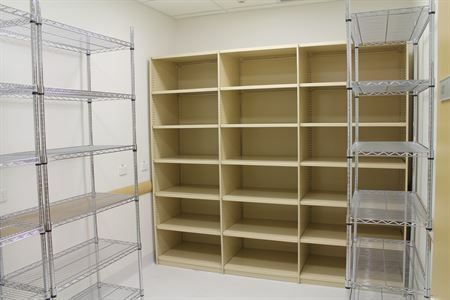 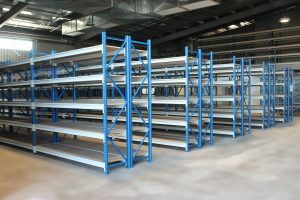 RUT Steel Shelving is a well-priced, quality storage solution suitable for many different applications. 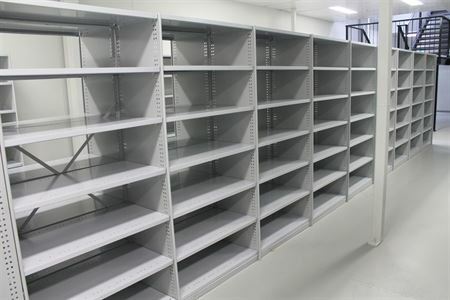 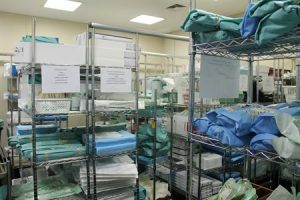 Most commonly used in Medical Equipment Stores, RUT is simply a must when it comes to organisation and efficiency. 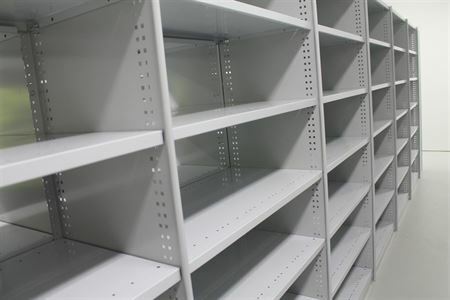 RUT Steel Shelving is roll-formed from premium pre-painted steel, to ensure durability and engineering integrity for medical storage applications, with a large range of colours to choose from, including the standards, Wild Oats and Silver Grey. 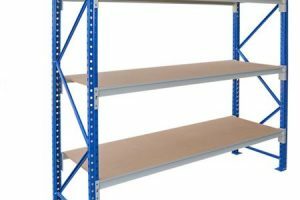 Along with the comprehensive range of accessories, RUT Steel Shelving is customisable to suit almost any configuration. 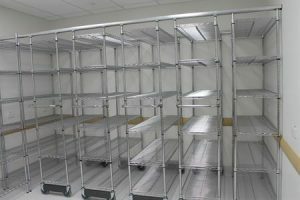 Sterimesh™ Mobile Shelving Systems or Compactus Units allow maximum use if the existing area & are customised to suit your products & storage requirements. 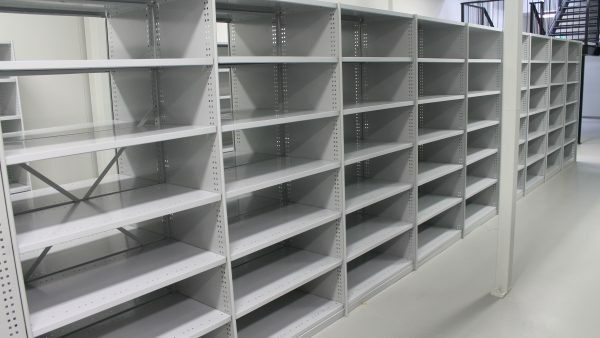 They can made up of any of the static bay sizes; along with the addition of ball-bearing heavy duty castors; aluminium overhead tracking system & directional handles to ensure streamlined movement of each mobile bay. Mobile Storage Systems, commonly know as Compactus Units, will provide your business with a high-capacity office storage system. 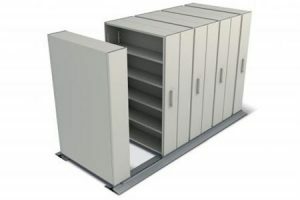 With a wide range of sizes available, we can design, supply & install a Mobile Storage System to suit your requirements. 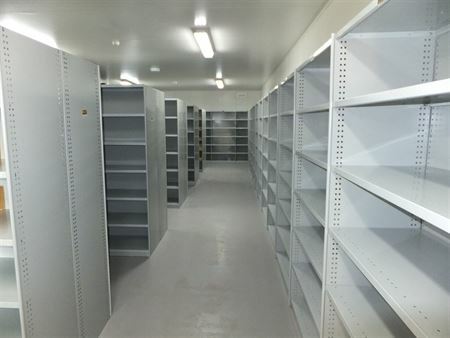 Storeplans Mobile Storage Systems are designed and manufactured according to Australian Standards and workplace conditions. 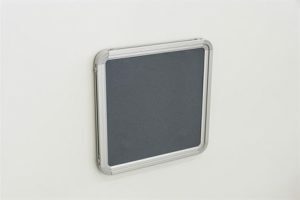 They provides ease of use and are available in hand operated or mechanically assisted configurations. 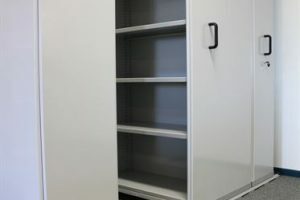 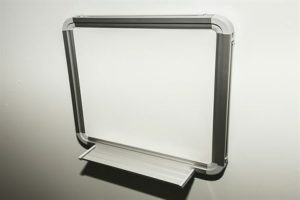 A wide range of accessories are available to complement the Ezi-Glide Office Mobile Shelving System.